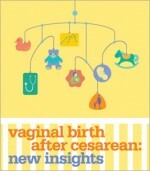 I was just reviewing my notes and resources to teach labor induction to my current Lamaze Clients here in Santa Ynez. The following video: Induction Information: Should You Get Induced? just came out and is a very well done, comprehensive lesson on what every pregnant woman/couple needs to know about inducing labor. It is only apprpriate to post the link to this video here for all to view.